The magic of the holidays comes to life on this most stunning illuminated tour of Washington, DC this holiday season! Take in the beauty of its festive décor and be in awe as you travel through the City streets with its twinkling lights. You will visit the grounds of the U.S. Capital, Lincoln Memorial, and the White House Ellipse – walking through the “Pageant of Peace”. 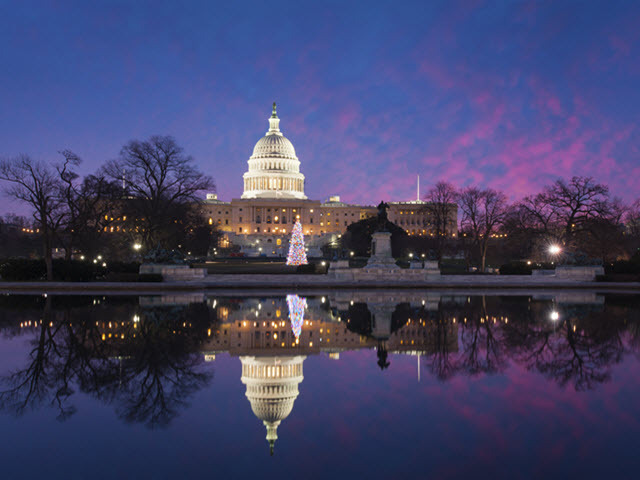 Your tour will be led by a licensed DC Tourist Guide who will share stories about the history of this national festival and its fun and historic local roots. 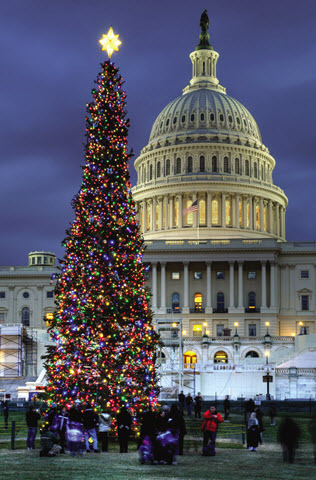 Our first stop will be the West Lawn of the U.S. Capitol to view “the People’s Tree” evergreen Christmas tree. 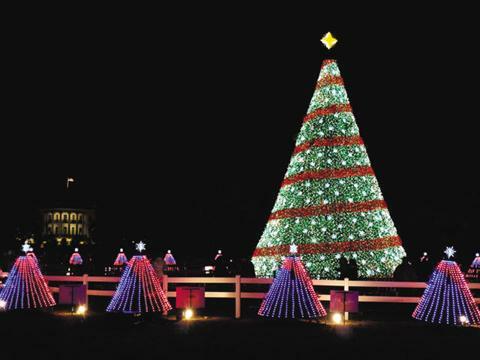 Next, we'll head to the White House Ellipse to appreciate the beauty of our nation’s National Christmas Tree! 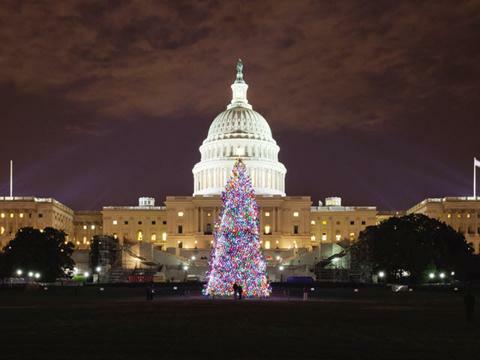 Guests will disembark the shuttle and spend an hour visiting D.C.'s own "Pageant of Peace" – viewing the State and Territory trees* with special handmade ornaments. One quick tidbit of information…we’ve learned that the ornaments on the “territory trees” will be designed by various groups - school kids, professional artists, teachers, community groups, etc. Look to see which ornaments you like best! Find your state tree and see how beautifully it us decorated! Hear holiday music, view specially decorated trees, and enjoy the model train village surrounding the base of the National Christmas Tree…with an awesome backdrop of the beautifully decorated White House. Our last stop is the Lincoln Memorial, where all experience the breathtaking views of the National Mall, with a clear view of both the Washington Monument and U.S. Capitol Building; a photographer’s dream. Be prepared for great holiday cheer! Season’s greetings! rescheduled to the following date"